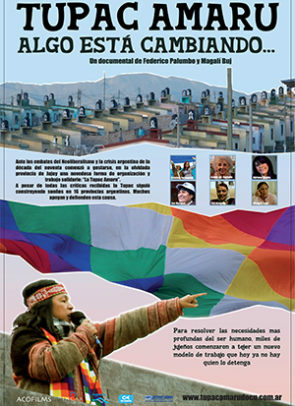 Faced with the onslaught of newliberalism and the crisis in Argentina in the nineties began to develop in the forgotten province of Jujuy, a new way of organizing and solidarity work. Waving flags for dignity, work, health-care, and education for those in most need, a social organization rouse up determined to change everything, to turn around chaos that was already established. In spite of all the criticism received, Tupac goes on building dreams and hope in all Argentine, many supported and defended this cause. To solve profound needs of the human being, thousands of people from Jujuy started to knit a new way of work, cooperative and with solidarity. Today there’s nobody who can stop it.